I create a buzz at your wedding that spreads to fill the whole room with enthusiasm and laughter. 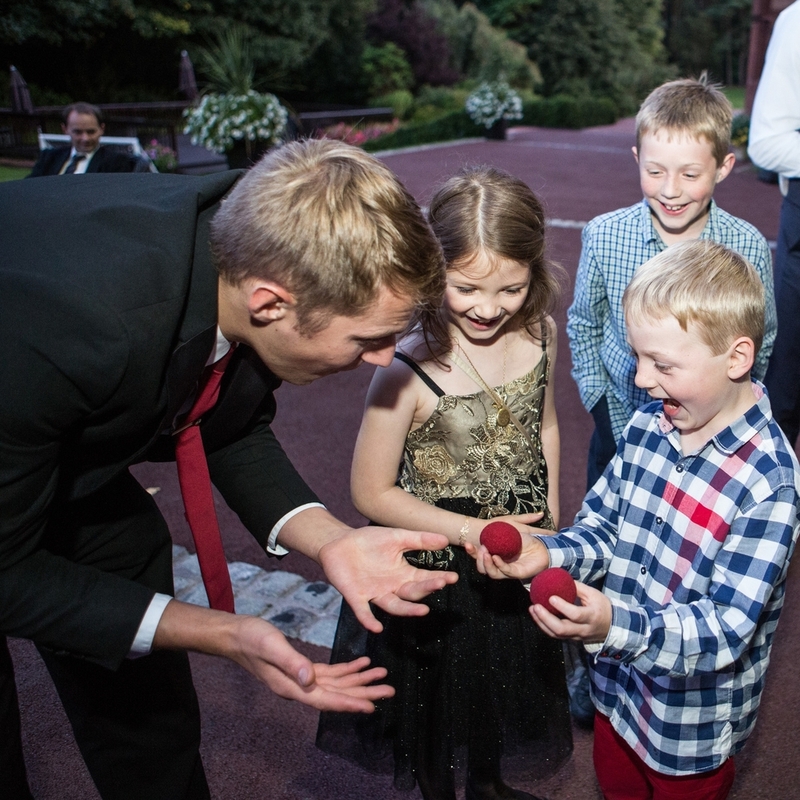 My magic isn't about me, it's about engaging your guests and creating an unforgettable wedding. I've been named the UK's Best Wedding Magician 2017 in the Bridebook Wedding Awards as well as Best Magician in the Northern Wedding Awards 2015. You can guarantee you're getting the best! I pride myself in being far more than just a magician. Whether you need expert advice on finding a florist or you want someone to help practise your speech; I'm always on hand to help prepare your perfect day. "Chris had us all truly amazed. Honestly he is a must for your wedding!" "Chris is super friendly, we had so many compliments about him!" "Chris was just amazing! He made our special day Gayle even more special." "Chris was so friendly and entertaining! The perfect end to a perfect day." Includes special bride and groom performance! BEST FOR THE MAIN EVENT! Let's meet up and have a chat about your wedding day. I'd like to hear about what you've got planned and how I can make your wedding day even more memorable. We can go for a drink, chat about your plans and I'll show you what I do. Most importantly, I'll offer all the best advice to make sure your day goes exactly as you want it to. I like to get to know all my clients so that when your special day comes, we're not strangers and you can relax, knowing you're getting quality entertainment.